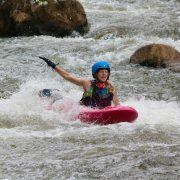 The bellyak roll is a fundamental skill for paddling whitewater. 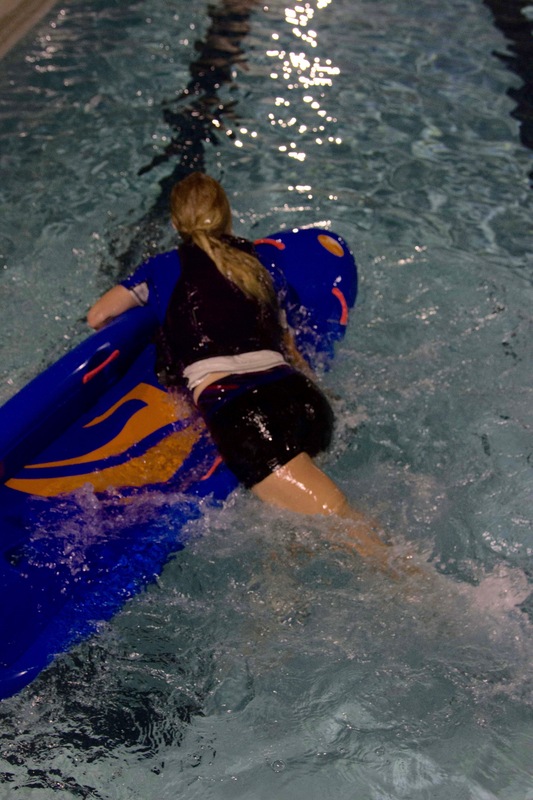 The main function of the bellyak roll is so that you are able to maintain connection with the boat and stay on line. This leads to a happier time on the water, gives a stronger sense of control which leads to confidence, which thus equals more fun. And he who has the most fun wins. We read that in a book. To help you along, here’s all you need to know to flip and dip your bellyak. What Happens if I Flip Over? Swims happen. Sometimes you lean left when the river wants you to lean right, and you find yourself in the water. The good news is that the bellyak is very easy to remount/self rescue. But let’s face it. It’s way cooler to roll. If you’re off your boat swimming, then you aren’t in control, and you aren’t having as much fun as you could have. 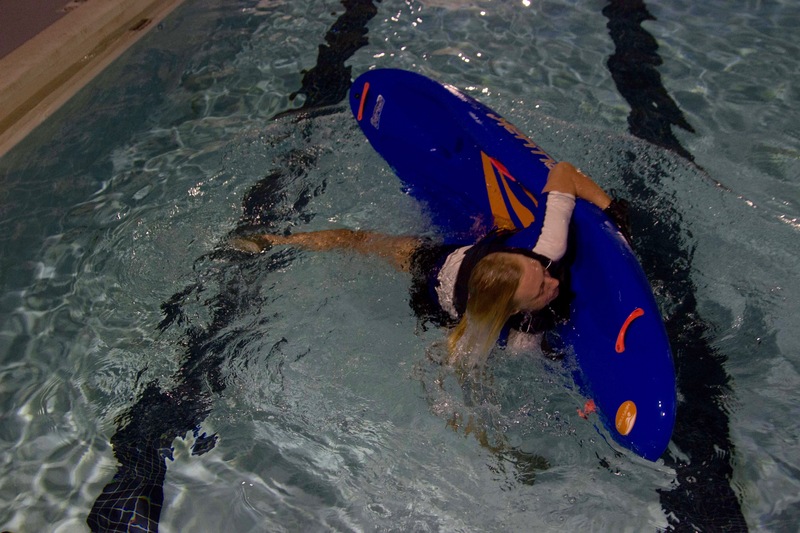 The good news is you don’t have to spend $900 on clinics and hours of lake practice…the bellyak roll can be mastered by most people in a short amount of time, often in the first few hours of paddling. As you feel yourself about to roll over, your instinct may be to grab the handles. Not so! Bear hug the boat like you would hug your favorite hound dog, wrapping your arms all the way around. The key is to create a solid connection via your arms and your chest to the bellyak. Once Upside Down, maintain BEAR HUG of bellyak, keeping chest connected with the boat. Once upside down you will be hugging the bellyak close and telling it secrets. Your legs will be in the water, because of gravity. Perform a quick scissor kick to maintain your momentum and get the boat fun side up. Imagine wrestling an alligator and trying to flip it over on it’s back. That’s what you want to do. Once your boat is back upright, you will be oriented as in the picture below. At this point you will want to swing your legs back on top and get back in position. As you roll back upright, your legs will be off the side of the boat. Maintain chest connection to boat. Rear View: As boat is brought around upright, a quick scissor kick helps with the momentum of the roll. 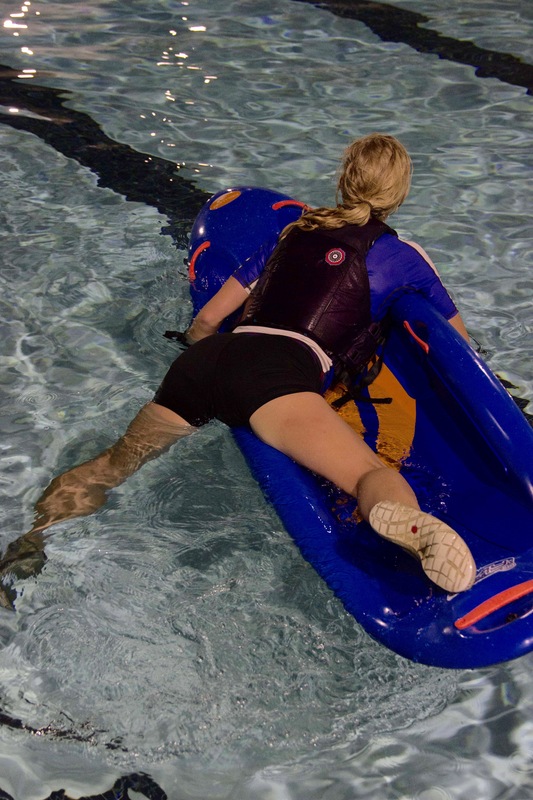 Bring one leg onto the bellyak and swing the other in place. 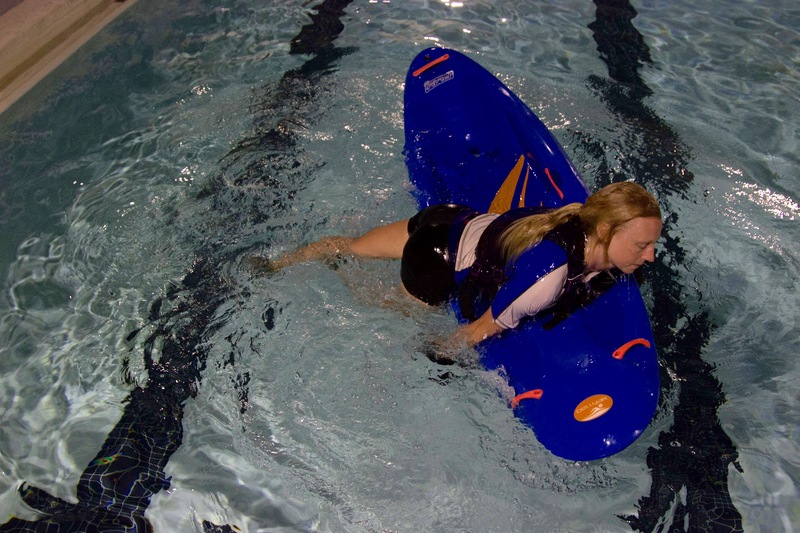 Use knee or foot to ‘hook’ side of bellyak and bring it under body. The roll is something that happens as soon as you feel yourself flipping over. The key is to GO WITH the roll, and use that momentum to bring you all the way around. If you don’t maintain momentum you will lose connection with the boat and have to remount from the water. This works, but isn’t as quick. Or as fun. Like we mentioned. If you give your bellyak a half-hearted hug, it will leave you. Hug it like you mean it. We see this all the time…people just flop off and don’t even try to get back on. Have some urgency. The safest place on the river – and also most fun – is on top of your bellyak, paddling in control. TIP: Imagine the water is filled with starving pyranhas and you have to get back upright, or else some fish is going to be wearing your skin. You don’t want that do you? 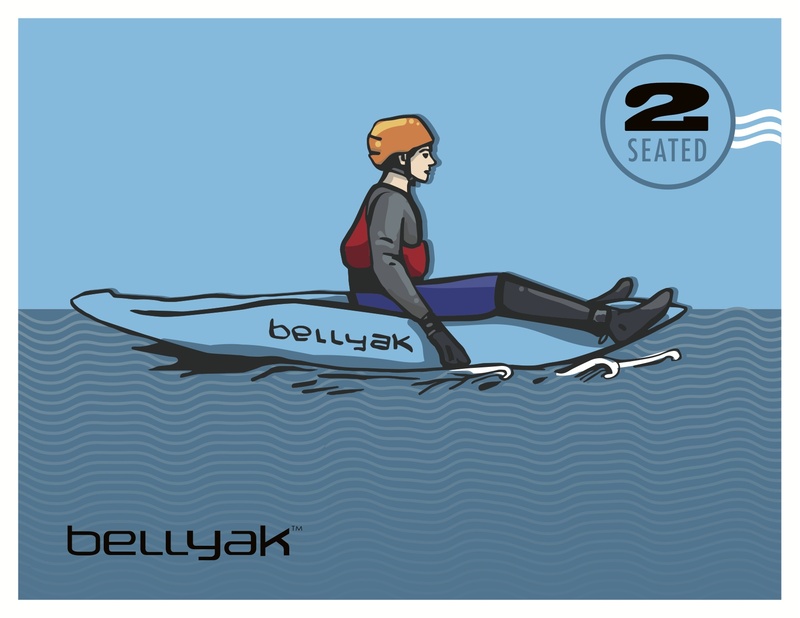 A Bellyak is not meant to be ridden, it’s meant to be driven. People ride in kayaks, but to successfully bellyak, you must drive the boat. What should you expect your first time bellyaking? 1: You will get wet. 2: It’s harder and easier than you think. 3: You will get a great workout. 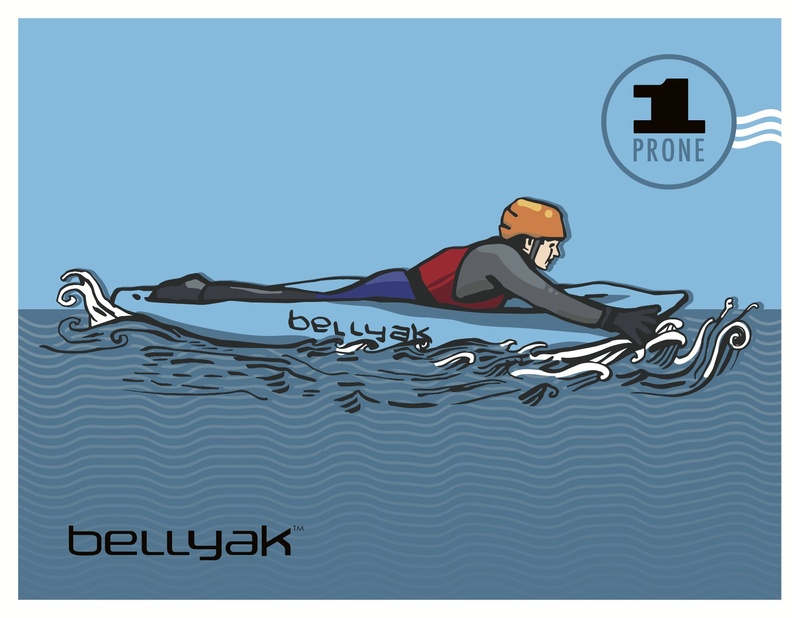 The Bellyak is meant to be primarily ridden in the prone position. At first, you may feel a little unstable if you’re not used to watersports. You’ll want to lean right and left to feel your ‘secondary stability.’ This lean is crucial for entering into and out of eddies, and for turning the boat while paddling. You’ll want to make sure you are in the middle of the boat: not too far forward and not too far back. This is known as your trim. If you’re too far forward the boat won’t go straight, and if you’re too far back, it will make the boat feel sluggish. 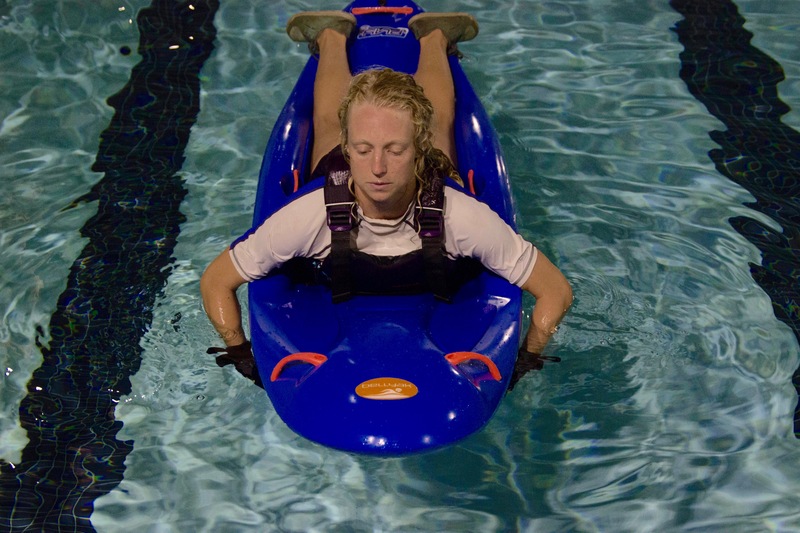 The benefit of the Bellyak is the ability to ride in multiple positions. This gives you a break from one position, and allows you to enjoy hanging out on the boat. The trick from going from prone to seated is the swing your legs around the boat as you transition (straddling the boat with your feet in the water). Our soon to be released instructional video will show you how to do this. At first, you may fall off, but the good news is it’s really easy to climb back up on the boat from the water. 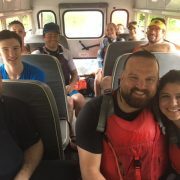 You can also ride the boat in kneeling, which is a little tippy at first, but a great way to surf and for scouting rapids before you run them, or for riding ocean waves. What if I fall off? Since there is no cockpit to fill with water you can remount the boat in two ways: slide the boat under you as you mount from the rear, or climb on from the side as you throw your legs over the boat. Doing any new sport for the first time will require new muscles and skills. If you’re using the boat in the ocean, you can easily take breaks as needed. If you are going down a river, it is recommended that you stop and enjoy the scenery…there is no rush. River surfing and running harder whitewater require a higher degree of fitness, but the good news is that the bellyak provides a terrific shoulder and core workout. Set up way in advance of your line. What this means is that if you want to go left at the next rapid begin setting up to go left before you get there. The benefit of being so close to the current is that you can learn exactly how the water works and find path of least resistance. There are really only a few strokes required at any given time: setting up your angle, punching through waves and holes, and crossing into and out of eddies. Adam Masters on Wilson Creek in the Play 35. Photo by Effort, Inc.
As you come over a drop, or into a hole, the last stroke is crucial. You want to take a big breast stroke, which naturally takes your weight off the bow of the boat. This accelerates the boat and insures that you glide over the feature rather than get bogged down in it. 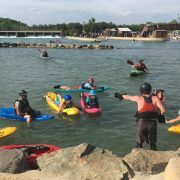 The handles are not for grabbing onto while going through whitewater, they are meant to be used to reposition yourself on the boat. As you come into and out of eddies (the interface between the moving water and still water) you’ll want to lean into the turn. 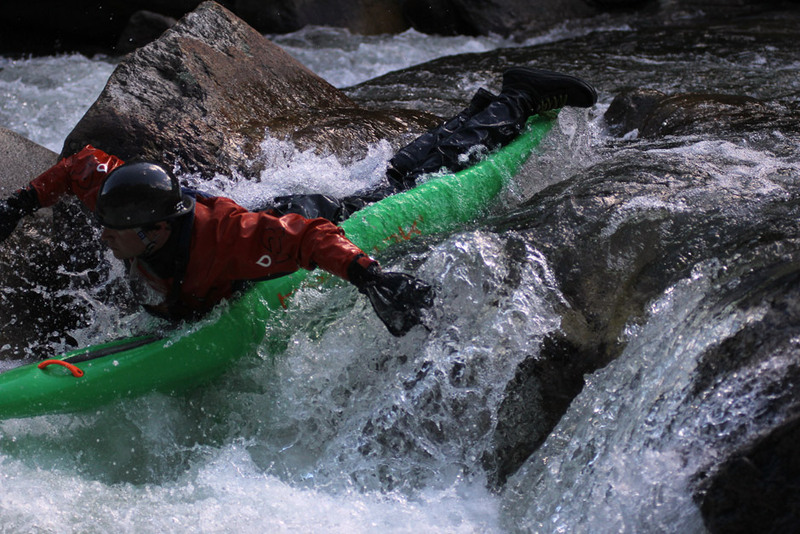 Leaning into the turn will help you carve across the current and keep you from flipping over. If you’re already a kayaker, all the same rules of edging and leaning that you know in your kayak apply directly to the bellyak. After all, the bellyak is a kayak that you swim on top of! As you paddle out into the break, the same ‘boof stroke’ is crucial for getting past the breakers. Take a strong stroke right as you crest the wave. If the wave crashes over you and pushes you back, then just surf backwards! 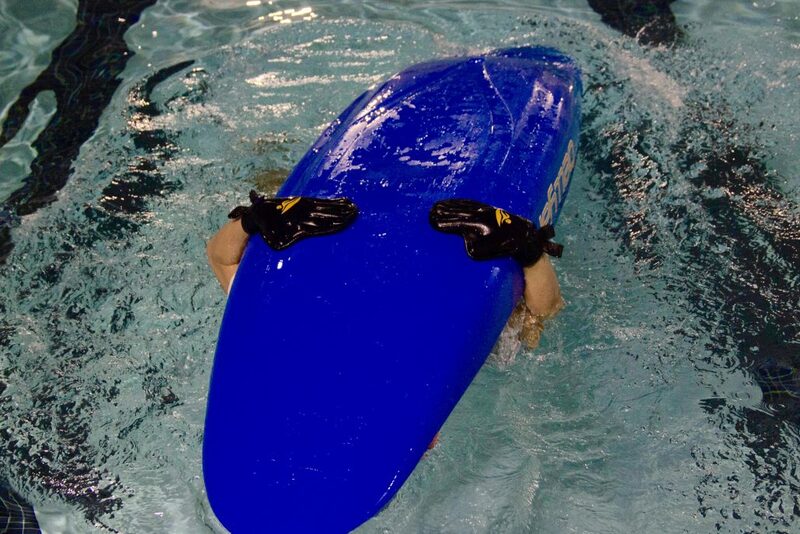 The bi-directional nature of the bellyak works well either forward or switch! 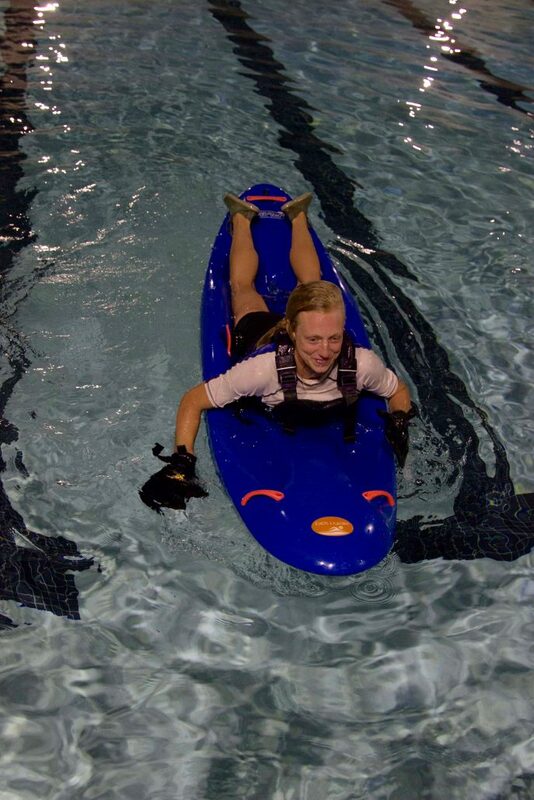 When catching waves, the shorter length of the bellyak means you need to start paddling sooner to catch waves than you would if you were on a longboard or SUP. With a little practice you’ll have it down in no time. If you get turned sideways to a wave, then lean into the whitewater (away from the beach). This will keep you upright and smiling. The handles can be used for surfing! The best pointer of all? Have fun, and be safe!